Another week down, and it is time for another song of the week. 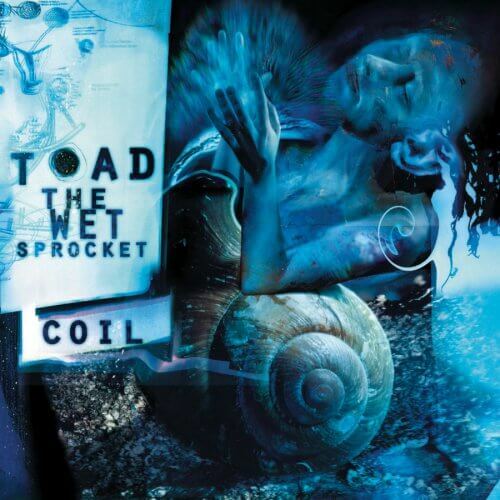 This week is one of my favorites, "Crazy Life" by Toad the Wet Sprocket. This was their last single they released before the band disbanded in 1998. While Toad the Wet Sprocket is best known for their hit singles "All I Want" and "Walk on the Ocean", their library of songs is very impressive. Of their five studio albums, I am big fan of their last three, Dulcinea, Fear, and Coil. "Crazy Life" was featured in the ever popular Empire Records Sountrack, which is filled with some great 90s music. While it may be "Come Down" that most people remember from Coil, I believe that "Crazy Life" is the stronger single. This song hooks you from the very first guitar riff. It has such a good opening and from there it smooth sailing. Like a lot of the other Toad songs, you can just kick back and enjoy this one. The song's lyrics speak of the controversy surrounding Leonard Peltier, a Native American convicted of murdering two FBI agents in a shoot out at Pine Ridge Indian Reservation. In the end the path is clear."